There are several versions of the set list of this CD, but the main one, the UK Release, is the one I'll use, even though I have both. This is a normal greatest hits, except that it is longer, and in some cases there are alternate versions of the songs, such as radio edits, and single versions. The album is a collection of radio hits, and fan favourites, and they even decided to use the song they wrote for the World Cup in 1994, "World In Motion." 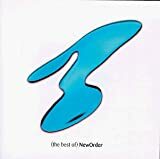 All in all, the CD is a great buy, but if you're a New Order fan, you might be sort of disapointed that some of your favourites didn't make the cut, and also the edits are sometimes annoying, when you're so used to it sounding one way, and including things that this CD doesn't include. To regular music fans, it's a good pick up, but the newer, "International" greatest hits is in my opinion, far better.